History Book Club. Hardcover. 0739478575 Ships promptly from Texas. . Fair. 2002. History Book Club, 2002. Hardcover. Acceptable. Disclaimer:A readable copy. All pages are intact, and the cover is intact. Pages can include considerable notes-in pen or highlighter-but the notes cannot obscure the text. The dust jacket is missing. At ThriftBooks, our motto is: Read More, Spend Less. Francis Parkman Prize Edition / History Book Club, 2002. Book Club (BCE/BOMC). Hard Cover. Near Fine/Near Fine. Book club edition. Ink name on front endpaper. 2002 Hard Cover. xii, 698 pp. 8vo. "Winner of the National Book Award for history, The Path Between the Seas tells the story of the men and women who fought against all odds to fulfill the 400-year-old dream of constructing an aquatic passageway between the Atlantic and Pacific oceans. It is a story of astonishing engineering feats, tremendous medical accomplishments, political power plays, heroic successes, and tragic failures. McCullough expertly weaves the many strands of this momentous event into a captivating tale. Like his masterful, Pulitzer Prize-winning biography John Adams, David McCullough's The Path Between the Seas has the sweep and vitality of a great novel. History Book Club, 2002-01-01. Hardcover. Good. New York, New York: History Book Club, 2002. Book Club (BCE/BOMC). Hardcover. Very Good/Very Good. 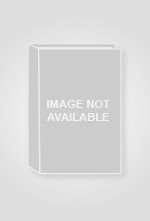 Used Book: Hard Cover Standard used condition. Reading copy or better. History Book Club. Hardcover. 0739478575 McCullough, David. 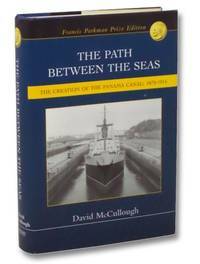 Path Between the Seas: The Creation of the Panama Canal 1870 - 1914. New York, NY: History Book Club, 2002. xii, 698pp. Indexed. Illustrated. Bibliography. 8vo. Hardcover. Book condition: Very good with subtly bumped corners. Dust Jacket Condition: Very good with sutbly bumped edges. . Very Good. 2002.